 Welcome to Pitch Hacks by Pitch Deck Fire! Pitch Hack of the week – What is Traction? Hey everybody! Stacie here with Pitch Deck Fire and I’m so glad you guys have joined us for our Pitch Hack of the Week. If you haven’t been with us before, we cover tips and tricks on pitching, pitch decks, sales decks, live presentations, and investor presentations. If you’re a startup looking for funding, an established company looking for new customers, or you’re in an accelerator or an incubator program – you can find value in our Pitch Hack. This week’s Pitch Hack of the Week is: What is traction? No, traction is not the treads on your tires or the treads on the bottom of your hiking boots. In the start-up world traction means the success you’ve seen so far or the proof you have that customers are there and valuable. Essentially, it’s customer validation. Why do we pitch and how does traction help? Let’s back up one step and talk about why we pitch. If we know what investors are trying to get from our pitches we’ll better understanding of traction and what we include in our own pitch deck to show it. Investors, generally speaking, are looking to invest in a company that will give them a return on their investment. They want to know that the company will be successful and the money they invest will be returned to them plus more. That may be the main reason they are investing, though they may have other motives. They may want to invest in their own business, invest in this particular space, or invest to make a social impact and feel good. In general, their primary motivation is to make money on their investment, otherwise they’ll put their money elsewhere where they will make more money. How do I show traction? So how do they know if they want to invest with you? They want to know your company will be successful. The best way to show it will be successful is to show its success so far. The best show success is by demonstrating you have customers willing to buy your product, and how many are willing to buy your product. Ideally, it is a graph of how many customers you have going up and how much they’ve been spending on your product going up. This is very valuable on a traction slide. It shows how many customers you have and how much money you’re making. Can I show traction if I don’t have any customers yet? It’s possible that you’re not successful yet, or you’re early stage, or you don’t have your product yet. There are other ways to show traction when you don’t have customer or revenue traction. The next best thing is to show pre-orders or letters of intent. This shows that your customer hasn’t purchased the order yet, but they’ve told you they will. Maybe you have a contract that says they will buy it as soon as it is ready. If you don’t have a purchase order or contract, the next best thing is an MVP or Beta sign ups. Even if they are using your product for free now it shows interest. You want to outline how many people have signed up or how quickly they signed up. You can even show the percentage of people you reached out to that signed up for the MVP. All of this can be helpful to show your value even if you don’t have traction so far. If you don’t have contracts or an MVP, you still have options. You can show how many people visit your site or have people fill out a survey or say they are interested. Those are all valuable pieces of the puzzle to show customer validation. It helps the investor see that you have customers, you’ve talked to them, they’re real, and they will give you money as soon as you get the money to build the thing – they’ll buy it. Anything you can do to show movement, proof that customers are there and they care about your product. That’s what you want to convey on a traction slide. A traction slide is just proof you are going to be successful. So I hope this answered your question: “What is traction?” If you have any other ideas on traction or ways that you’ve showed traction in your own pitch decks, I’d love to hear about it in the comments below. If you have any ideas for upcoming pitch hacks, there’s a link for your comments down below. I hope to see you again soon. Give us a thumbs up and join us for our next pitch hack – we do one every single week. Happy Pitching!